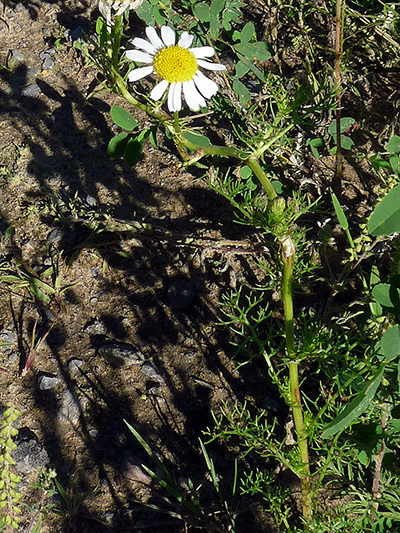 The flowers of the Scentless chamomile are very similar to those of the Oxeye daisy, but its foliage is different, very cut out, almost like needles. This introduced is considered an agricultural weed. As the name suggests, it has no odor.